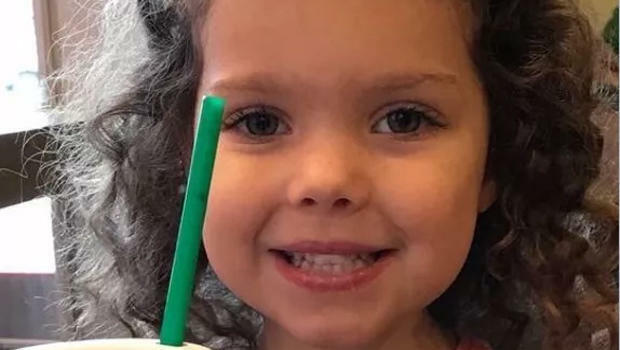 CHARLESTON, S.C. -- A 4-year-old girl who disappeared Tuesday in South Carolina on Tuesday has been found safe in Alabama, Charleston Mayor John Tecklenburg confirmed Wednesday. Tecklenburg said a police officer in Riverside, Alabama, stopped a suspect and managed to get Heidi Todd out of the suspect's vehicle, but said the suspect got away, CBS affiliate WCSC reports. The Suspect was arrested hours later, authorities said. Thomas Evans, 37, was arrested after a police chase that ended in Lauderdale County, Mississippi, said Riverside, Alabama, Police Chief Rick Oliver. "What could have been a day of great tragedy has turned out to be a day of great joy," Tecklenburg said. South Carolina's Ninth Circuit Solicitor Scarlett Wilson told WCSC Evans will face state charges of kidnapping and that federal charges from the FBI and additional charges will be forthcoming. Riverside, Alabama, is on Interstate 20 about 35 miles east of Birmingham. Heidi is thought to have gone missing Tuesday from her home in St. John's Island, South Carolina. Earlier Wednesday, Tecklenburg told reporters that Heidi's mother was apparently "brutally beaten" and is hospitalized. He believes she is expected to undergo surgery, but is in good condition considering the circumstances. Both Tecklenburg and Interim Police Chief Jerome Taylor emphasized that Heidi's mother provided very limited information on the alleged perpetrator, whom he described as an "unwelcome guest" in the Todd home. "She basically stated that it was possibly a Hispanic male," said Taylor. "The description was very, very brief." "Fundamentally we don't have enough information to put out an Amber Alert," Tecklenburg said, indicating that this was the reason police had called on the FBI, the Department of Natural Resources (DNR), as well as the State Law Enforcement Division for help. "We have an incredible and unified effort that was called upon by the police department, a coordinated local state and even federal hunt." At the earlier press conference, police released a sketch of a man they called a "person of interest" in the case. A Charleston Police Department press release states that he was seen in the area days prior to the incident and may have seen something or have information on the suspect in the investigation. The person of interest is described as a Hispanic male estimated to be between 30 and 40 years of age, between 5'10" and 6' tall with a stocky build, black hair and brown eyes. He has a flame tattoo on his left cheek and a thunderbolt tattoo on his right cheek. During the press conference, a DNR team could be seen entering a lake just outside the Todd home, according to live reports by CBS affiliate WCSC. They were the second dive team in the lake on Wednesday. A previous team was using a sonar device to try and detect any sign of the girl, the station reports. A low-flying police helicopter was circling the area, and investigators were still going door to door and asking questions of neighbors. Four other children who live in the home are safe, and two were in the home at the time the girl disappeared, Tecklenburg said. The child's father is a member of the U.S. Coast Guard and was out of town on training, Tecklenburg said. He has since returned and is with the mother at the hospital. Tecklenburg said investigators are searching "everywhere" and aren't sure whether or not the child could have been taken in a vehicle. Charleston Police have set up a 24 hour tip line, and ask anyone who has information on Heidi to call police at 843-619-6123, Consolidated Dispatch at 843-743-7200 or Crime Stoppers at 843-554-1111.